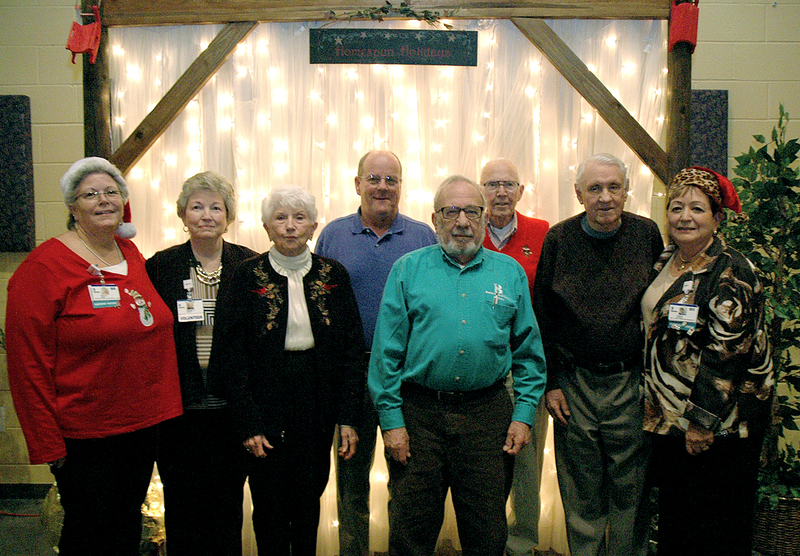 Every December, Beebe starts the holiday season with an appreciation luncheon for the many wonderful volunteers who give so much of themselves throughout the year at the hospital. This year’s luncheon was held at the CHEER Center in Georgetown where more than 300 volunteers, family, and friends, gathered to enjoy a catered meal served by Beebe managers, directors, and members of the executive team. Shown (left to right) are The Honorable William Swain Lee, Chairman of the Beebe Healthcare Board of Directors; Jeffrey M. Fried, President & CEO, Beebe Healthcare; Rick Schaffner, Executive Vice President/COO, Beebe Healthcare; Christine Moore, Beebe Medical Foundation Board of Ambassador member and Beebe Healthcare 100th Anniversary Co-Chair; and Janet B. McCarty, Beebe Healthcare Board of Directors member and Beebe Medical Foundation Board of Directors and Beebe Healthcare 100th Anniversary Co-Chair. 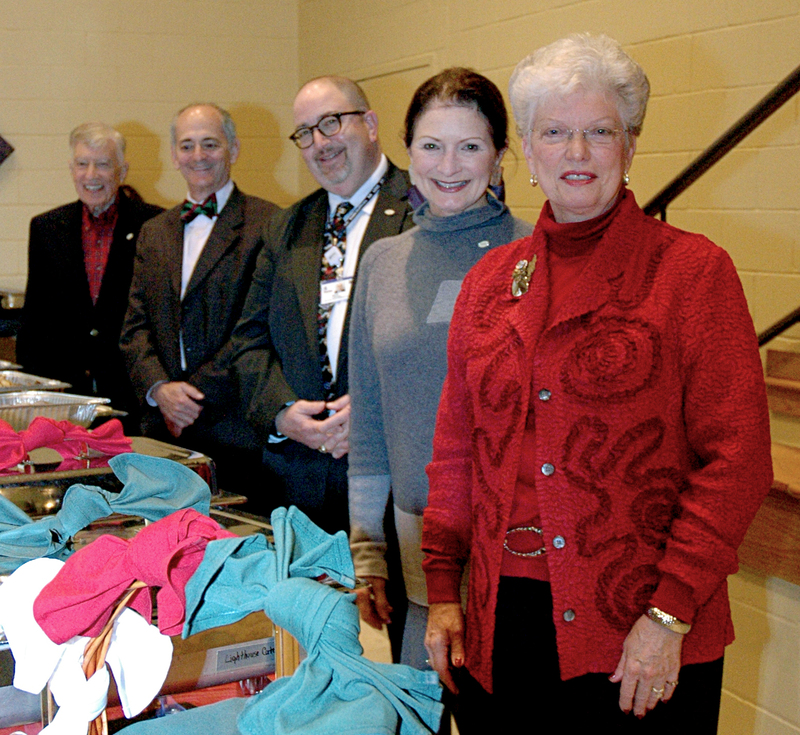 Shown (left to right) are Tracy O’Hara, Beebe Healthcare Manager of Central Registration with volunteers Nancy Almacy, Harriet Woodring, Frank Robinson, Les Lester, Ed Timmons, Klaus Klein, and Linda Yekenchik, Beebe Healthcare Manager of Emergency Department and Registration. 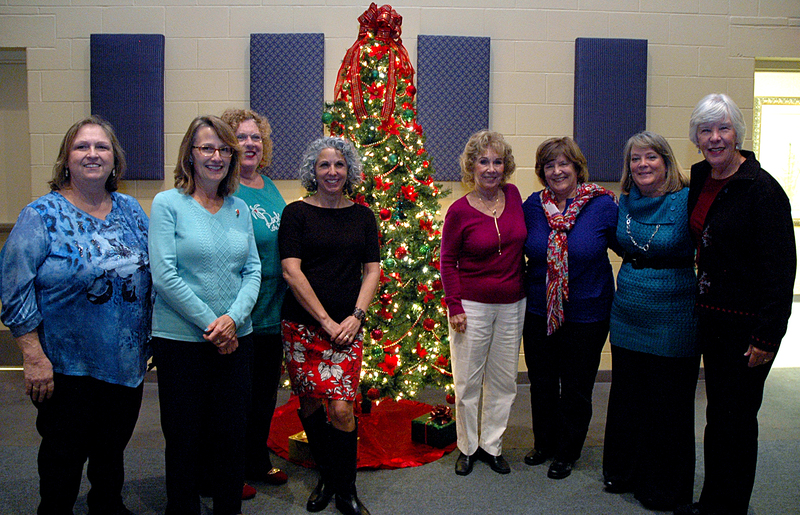 Shown (left to right) are volunteers Janice Lovato, Michelle Linehan, Cathy Palmer-Warner, Angie Nemia-Hawn, Pat Weinstein, and Nancy Frazier, with Beebe Healthcare Manager of Volunteer Services Lee Halloran, and volunteer Susan Smithson.